Click on any character to see more about them! Finally... sports coverage with Balls! 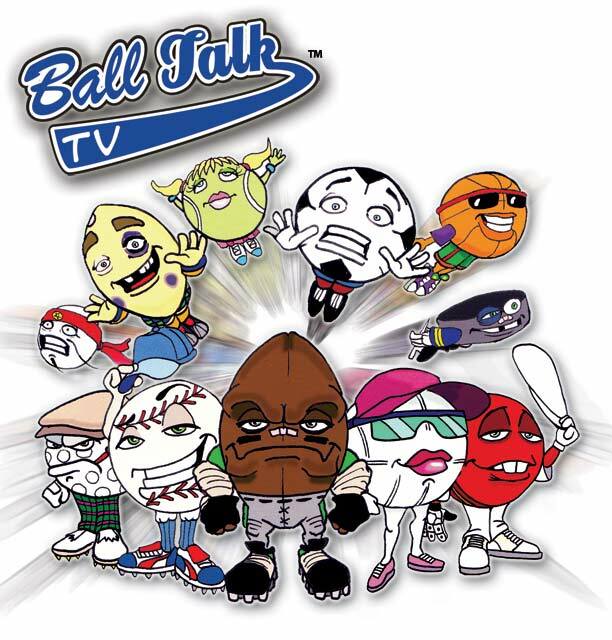 Ball Talk TV is a collection of loveable, “air-head” characters featured in an animated series, webisodes, mobile apps and more. The cast is a group of talking sports balls who run a TV sports show, with their fingers on the pulse of all things sports. Watch them as they fumble their way through interviewing sports stars and reporting the sports.